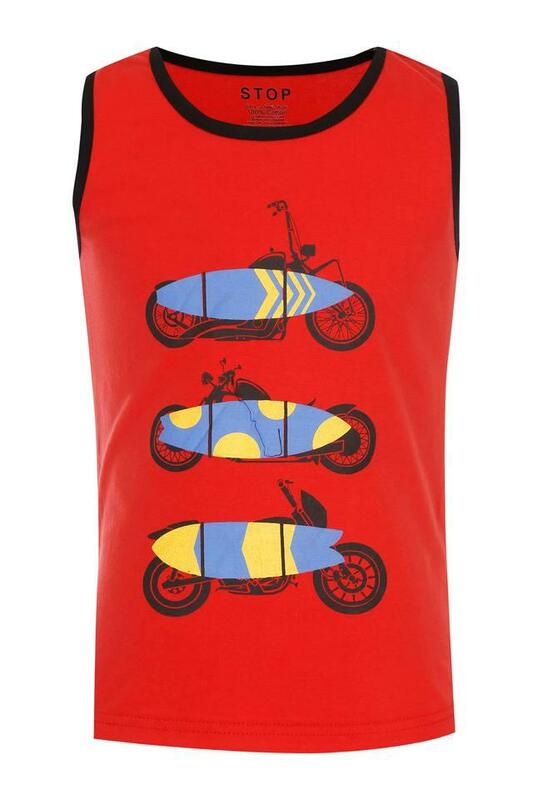 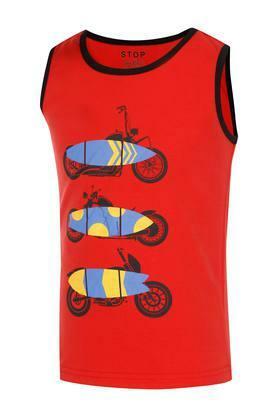 If you are looking to give your son's casual wear a lift, get him this sando from Stop. This printed sando will keep your kid at ease throughout the day, thanks to its round neck, and comfortable good quality fabric. This sando will be an excellent choice for your kid to wear on casual outings with the family. Make him wear it with a pair of jeans and boat shoes to lend him a smart look.